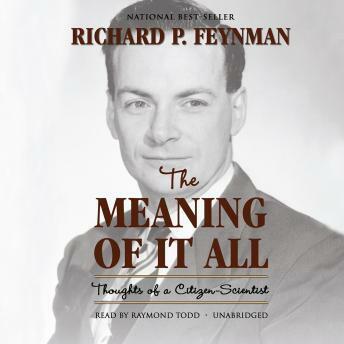 In this collection of lectures Feynman originally gave in 1963, the Nobel Prize-winning physicist discusses several mega questions of science. Marked by Feynman's characteristic combination of rationality and humor, these lectures provide an intimate glimpse at the man behind the legend. This book is actually the transcript from a conference, and the reader is good. I am very partial as I have loved Feynman through his books for years. He is genius as well as a gentleman. I will agree that he says:" ...and so forth, and so on", way too many times but it is a small price to pay to be able to listen to such a remarkable scientist.